How Do You Find All the Possible Factors of a Trinomial? 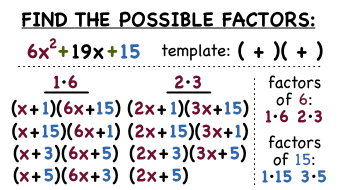 When factoring a trinomial into the product of two binomials, it's sometimes good to know all the possibilities. This tutorial uses the guess and check method to do just that! Take a look!